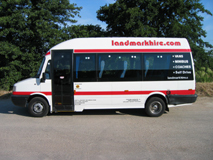 We have a wide range of vehicles available for hire. 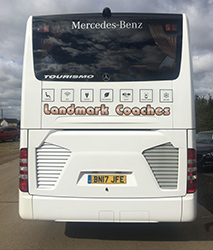 If you have any further questions and/or want to make a booking, please don’t hesitate to contact us. 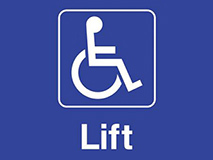 High visibility grab rails for the visually impaired. 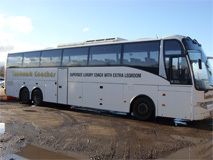 Please Note: This coach can accommodate up to eight wheelchairs. 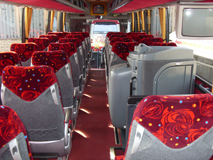 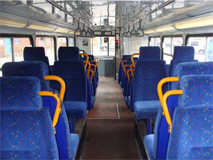 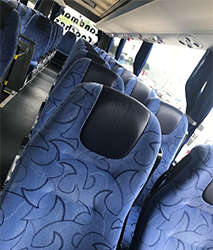 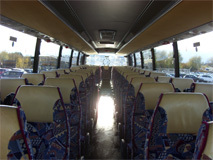 For every wheelchair carried, the seating capacity will be reduced by two seats. 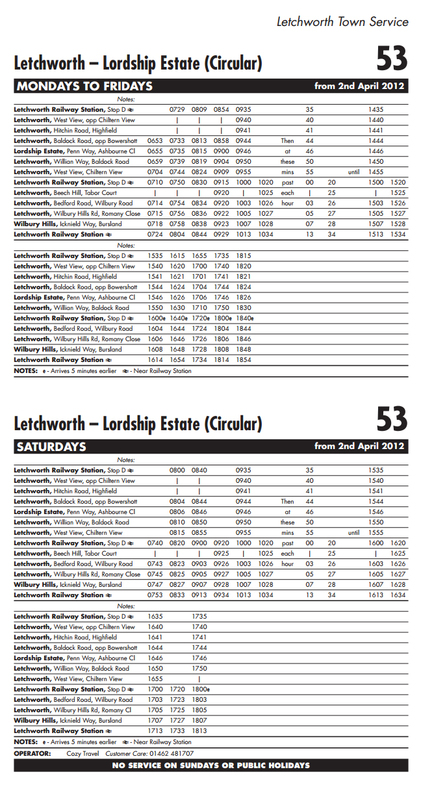 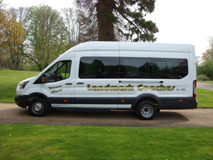 Ideal for School Holiday trips and Day trips. 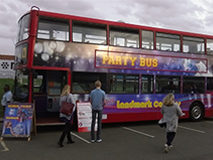 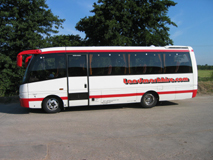 Ideal for visiting London Nightclubs, transporting your wedding guests or for muic festivals. 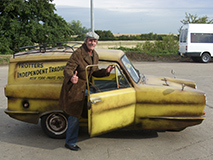 This car may be hired out for filming, advertising, prom nights or for taking the groom to the wedding. 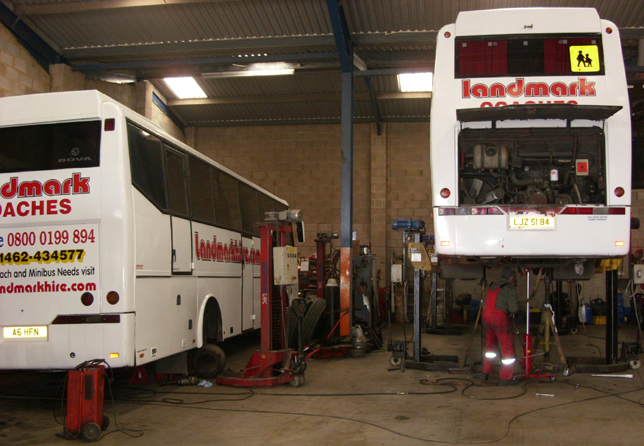 We operate our own in-house workshop facilities. 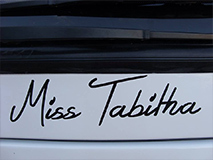 Our vehicles are all professionally maintained to the highest standards in our own fully equipped workshop by expertly trained mechanics. 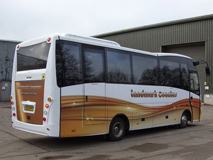 Our engineers have many years experience working on large passenger carrying vehicles, and are able to carry out all major and minor works including changing and rebuilding engines. 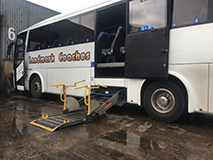 We have three sets of vehicle lifts each capable of lifting a coach, we carry out our own regular brake tests on all vehicles and where computer diagnostics are required, the vehicles are sent to Main Dealers. 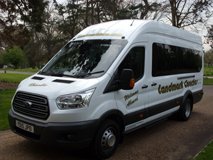 Our vehicles are all fully insured and are serviced monthly. 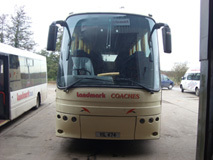 To maintain our high standards, we carefully follow the VOSA Guide to Maintaining Road Worthiness. 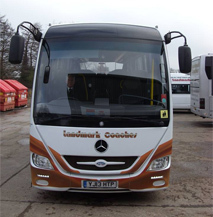 At the start of every day, our drivers carry out a Safety Check of each vehicle before they take it out. 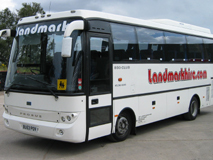 This check includes lights, tyres, wheel fixings and all related safety issues. 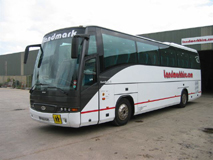 If a defect is found, it is immediately reported to our Workshop Manager and is rectified immediately. 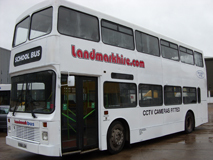 To maintain our quality standards, regular audit checks are carried out by our Transport Manager. 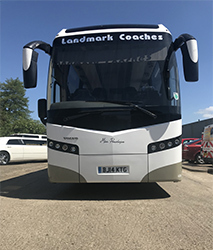 Every six weeks, each vehicle comes into our Workshops for a full Safety Inspection, which is carried out by our Workshop Manager and his Team. 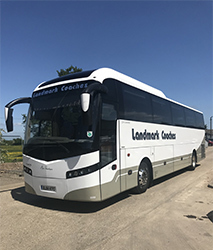 We keep our Safety Inspection records, driver defect sheets and audit check sheets for 15 months, and all potential Customers are welcome to view them. 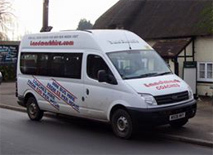 All of our vehicles have an annual PCV Test at a VOSA approved Testing Station. 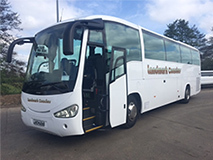 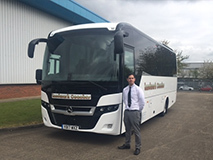 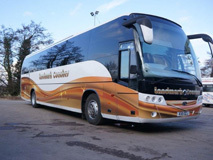 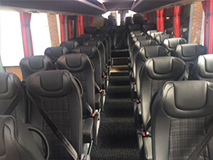 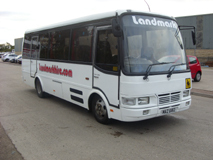 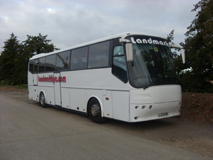 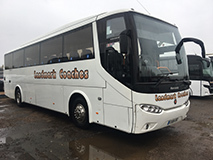 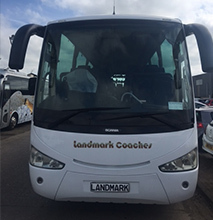 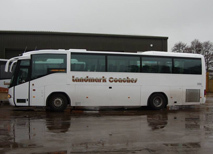 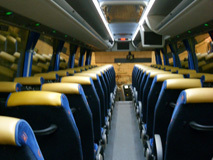 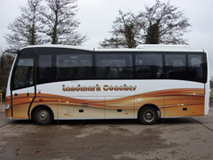 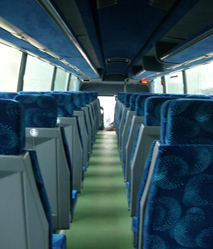 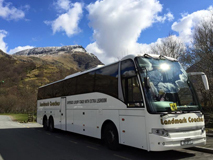 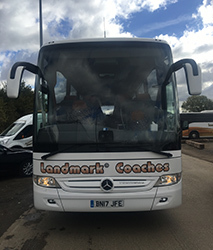 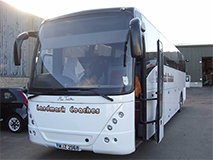 We only employ drivers who have many years experience in the Coach or Bus Industry. 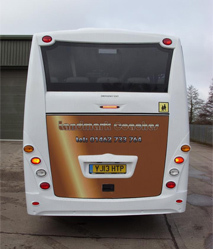 Each driver holds a Certificate of Professional Competence and receives in-house training in Customer Excellence. 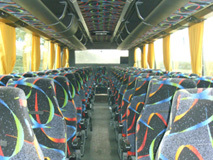 Every driver is required to wear a uniform and look well presented at all times. 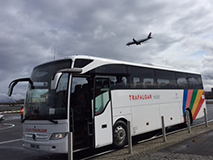 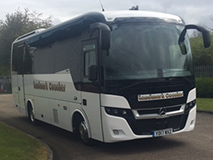 Our Tour Drivers wear a white airline style shirt with gold Landmark Epaulettes, a black tie with gold Landmark logo, black trousers and a black fleece with gold Landmark logo. 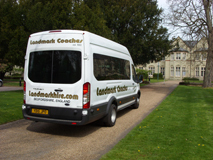 Other drivers operating on local services wear a red polo or sweatshirt with gold Landmark logo. 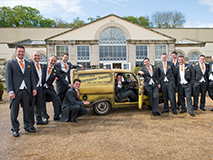 All of our drivers carry high visibility jackets. 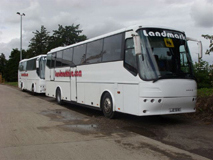 Each driver will receive medicals as required and are DBS checked and badged. 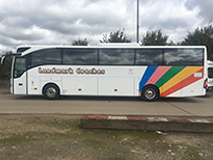 If any driver receives more than 6 penalty points within 3 years they will proceed to lose their position at the company.